Today we’re going to take a quickie look at another grape you should definitely add to your warm weather repertoire–Vermentino. Like two other grapes we’ve explored recently, Verdicchio and Picpoul, this grape makes really fresh wines available at really affordable prices. You’ll find Vermentino all around the Mediterranean under a variety of names including Rolle, Rollo, Pigato, Favorita, and Malvoisie de Corse. True to its multiple personalities, the origins of the grape are up for debate as well. Italy, Spain, and Greece all have claims to the grape’s birthplace, and it's even more widely planted in France than in any of the others. This is a fairly aromatic grape that typically shows notes of peach, lemon zest, dried herbs, with hints of saline. It also has refreshing acidity which it maintains well even in the warm climates it’s grown in. From there, the grape’s personality splits again with wines generally falling into two camps: light and zippy, or richer and more textured. Today’s falls into the first camp. The 2016 Piero Mancini Vermentino di Gallura comes from the northeastern corner of the island of Sardinia (Sardegna). Vermentino di Gallura is actually the island’s only DOCG appellation. Here the grape must account for 95% of the blend, with the final 5% being made up by less aromatic grapes approved for the region. Grass and flowers are typical of the style here. Piero Mancini has been producing Vermentino di Gallura for over 30 years. Piero was a dentist before he started winemaking full-time. He planted his first vineyards in the 1960’s and learned from the wineries nearby. He purchased 70 hectares of vineyards in the 70’s, opened the current winery in 1989, and retired from dentistry in the 90’s. Today the family owns about 100 hectares and the vineyards range in elevation from 50 to 300 meters with mostly south-facing exposures.The soils in the are dominated by granite, which contribute the wines’ minerality. Greg was away for work for an extended period, so I enjoyed this bottle on my own over a couple of nights and got to play with it against two different dishes. The wine was definitely on the light and fresh end of the spectrum. On the nose it showed notes of lime skin, green apple, and fresh green herbs. On the palate it was bright and tangy, like lemon-lime soda (but not sweet). There was a hint of white peach, along with a pleasant bitterness and a stony finish. There was a roundness to the texture as well. Since I was on my own, I didn’t do a full on Cooking to the Wine like I normally do–consider my two dinners here semi versions. The recipes are also more non-recipes–no measurements, etc–but I’ll drop guidelines in at the end. Given that round textural element, I thought this wine could hold up against a more substantial fish. I happened to have a large piece of salmon waiting for me. I’d also just made a batch of salsa verde, which seemed like a good match for the wine’s herbal qualities. I then proceeded to grab anything in my kitchen that might go in an antipasto platter and sauteéd it all together. I served myself the veggies with half the salmon. I topped it all with pine nuts, mostly because Greg doesn’t really care for them, but there was no Greg around. This combo worked really well. The wine was really refreshing with the food and the bitter qualities in each kind of smoothed out. The combo brought out the rounder notes in the wine. I particularly liked it with some briny olives I’d add to the dish. The next night I enjoyed my salmon and wine again, but this time I decided to use up some bok choy that needed eating. I braised it in white wine with garlic and anchovy paste. This combo worked quite well too, but this time the combo really highlighted the savory notes in the wine. Still deliciously refreshing! Gallura zone: Balaiana, Lu Scolombrino and Montelittu. rise sporadically from the ground throughout the area. The soil in the vineyards is made up of that same granite – weathered and broken down into fine sand. 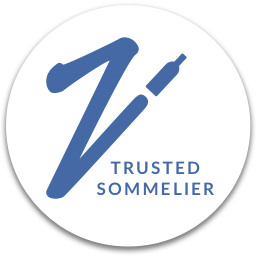 VINIFICATION: Fermented in stainless steel. AGING: Aged in stainless steel until January after harvest. WineSearcher.com has the average price for this at $15, which is about what I paid for it at my local Whole Foods. This is an easy House Wine. For either of these dishes look for white wines that have texture, acidity, and herbal notes. I’ve recently been playing with a few wines in this camp. Check out these recent posts on Verdicchio and Picpoul – I think you could easily do some mixing and matching. In general, I think Vermentino is an easy match for seafood and veggies. Fuller versions can also step it up to herbal, citrusy, and even creamy preparations of chicken and pork. Ryme Cellars makes a $15 Vermentino-based wine in their Uphold line that is a go-to for me. You can read more about that wine here . They also make a higher-end bottling in their regular line which is quite beautiful as well. Just for fun, I’m also going to throw in a shot of this dessert version made in a passito style from Uvaggio in Lodi. My friend John who works at Napa Valley Winery Exchange in SF brought this fun wine over to dinner recently. So tasty! 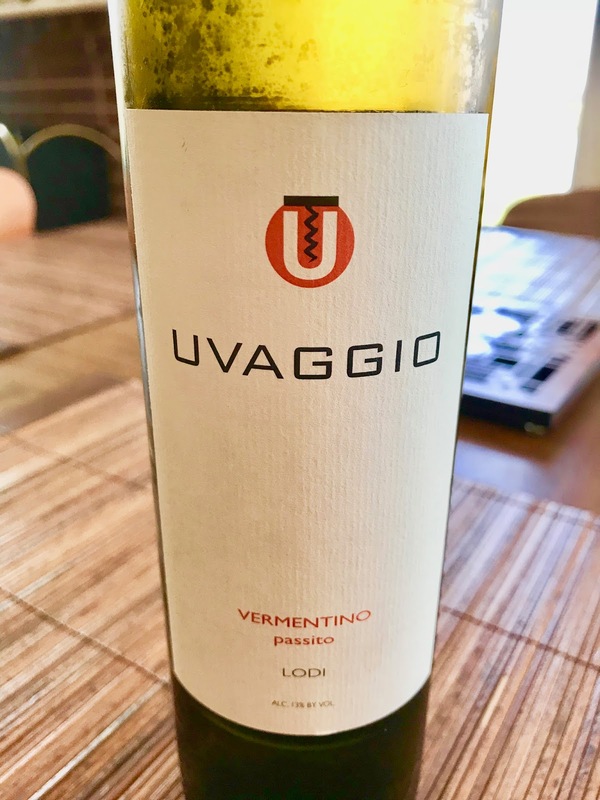 Vermentino’s snappy acidity works so well in a dessert style, and the grape’s light bitter notes help to balance out the sweetness in an agrodolce kind of way. Be sure to let me know your favorite Vermentino matches! Like I said, no full on recipe’s today, but here are some guidelines on what I did. Both of these took 20 minutes or less. - Heat a generous amount of oil in a pan over medium-high heat. Add the salmon skin-side down and cook until the salmon is ¾ of the way to your preferred cooking temp. You’ll be able to see the deep coral color turning pink along the edges. Transfer the salmon to another plate. - Drain off some of the excess fat from the pan. Return the pan to the stove over medium to medium-low heat. Add in the kale and sauté until it’s starting to turn dark green. Add in the rest of the veggies and the garlic, season with salt and pepper, and sauté until everything warmed and cooked through. Taste and adjust seasoning. Note: If you don’t have previously cooked onions and peppers, cook them first, then proceed to add the kale and the rest. Jarred roasted peppers would also work very well here. - Put a little salsa verde on your plate and top with the veggies. Return the salmon to the pan, flesh-side down this time. Finish cooking for about 30 seconds, or until it’s where you like it. - Serve the ½ the salmon on the veggies and top with toasted pine nuts. - Heat butter and olive oil in a pan. When the butter is bubbling add in the bok choy. Let the bok choy get lightly browned on a couple of sides, flipping as needed. - Once the bok choy is lightly browned, add a splash of white wine and deglaze the pan, then add a little more. Stir in the garlic and anchovy paste/anchovies, then season with salt and pepper. Allow it all to cook. - When the bok choy is nearly cooked through, nestle the leftover salmon in pan and cook until the salmon is lightly re-warmed, flipping once. Serve and enjoy it all together! Jane from Always Ravenous is penning Which Vermentino to Pair With Shrimp & Fresh Herb Pilaf? Love that salmon with bok choy. Sounds like you had two great dinners. I'm sure your hubby was disappointed that he missed out. Thanks Wendy! Not bad for dinners for 1. Love your experimentation- interesting how the anchovy-garlic brought out the savory notes in the wine. That Uvaggio passito is one I haven't had- I know you saw my post discussing their dry version. Cheers Nicole! The passito was really lovely! Nicole I always look forward to your thoughtful pairings. Vermentino has rocketed to the top of my white white summer list - so good with food, so fresh and yet complex. Great post! Really enjoyed your dinner-for-one ideas. I'm doing more of that these days while Gabe travels, and it's always nice to have fresh inspiration!